I don't typically do resolutions at the beginning of each year and prefer instead to make goals just because I feel they are more attainable and feel less structured. 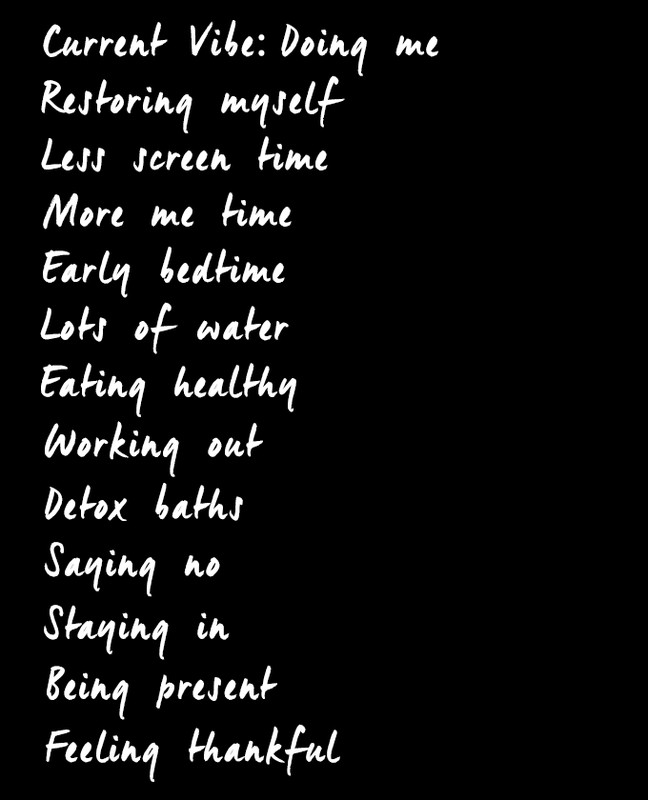 Anyway I'm still very much all about self care and dedicating myself to doing these things that will make me feel and function at my best. Despite my best efforts with these practices, I recently received some less than positive health news. Life is good otherwise. I actually feel fine and don't have any symptoms. I'm currently being evaluated through a series of tests. Hopefully this will lead to some answers as well as some resolutions soon. In the meantime I'm generally laying low and will be sitting out NYFW. I am sorry to hear that. Keeping you in my thoughts - we never have complete control about our health, but I am positive that you will come out on the other side stronger than before. Take care of yourself doll your health come first so far base on your list you on the right track. Have faith everything will come back with the result of not critical maybe body over tired you need time to recover. This is great inspiration to live a better life and we all need it. Sorry to hear about the health scare; praying for the best outcome for you. Happy Friday. A big yes to self care! I'm sorry to hear you had some bad news about your health, I hope you'll be able to pin it down with tests you have had done and get it all sorted out. Self care is very important. I think I'll take some time to rest after next week too. I feel I really need it. Take care. I hope you're doing ok Rowena. No matter what the test say, I know you're taking care of yourself and your husband best you can. Hugs!